You are buying the Kendall Curity Sterile Abdominal Pad 5x9" 36/bx, Model # 7196D. ADW Diabetes offers a complete line of wound care products by Kendall. We offer these items in single boxes as well as case packs for your convenience. Trust ADW Diabetes for all of your diabetes and medical product needs. 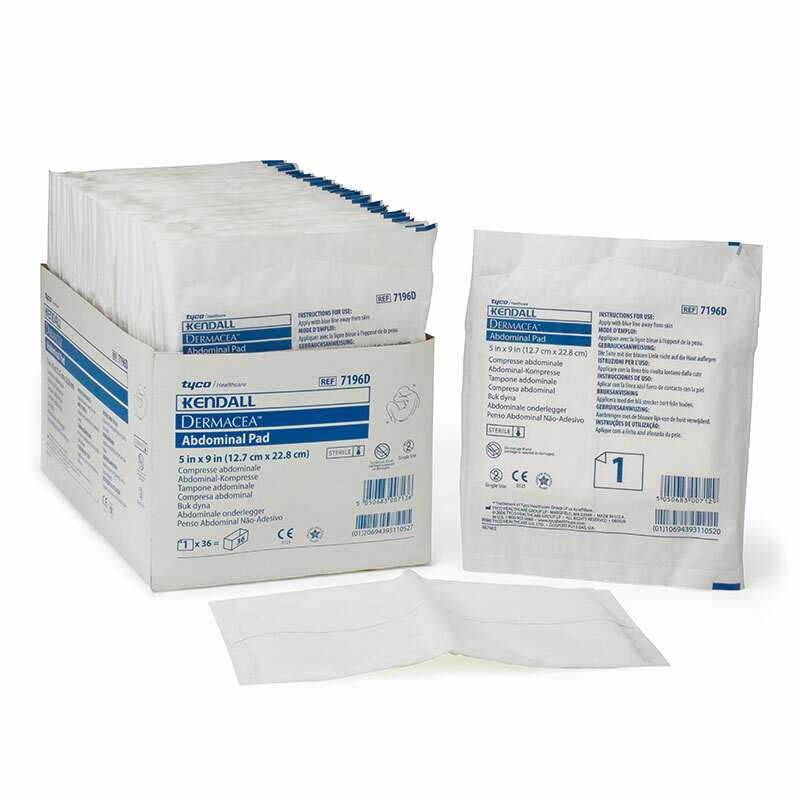 Kendall Curity Sterile Abdominal Pad 5x9" 36/bx, Model # 7196D is an abdominal gauze pad used in wound care. It is designed for maximum absorbency and comfort. All four edges of this gauze pad are sealed to prevent lint residue and leaking. It has a soft, non-woven top sheet layer that maximizes patient comfort. The Kendall Curity Sterile Abdominal Pad is fluff filled, which allows for maximum absorbency. It comes in convenient sterile and non-sterile packaging, which makes it ideal for multiple applications.